When you think of minerals, you may think of the breakfast components you read on the back of the cereal box. This article however, is a discussion about minerals like garnet, amethyst, diamond, emerald, ruby, sapphire, opal, topaz, turquoise, and many others. These gemstone minerals are beautiful because of the way they are cut, faceted, and polished, but minerals in their natural habitat can be quite beautiful as well. Gemstones of the World by Walter Schumann (Sterling 2013). Introduction to Mineralogy by William Nesse (Oxford 2011). Rock and Gem by Ronald Louis Bonewitz (Dorling Kindersley 2005). Elements of Mineralogy by Brian Mason and L. G. Berry (Freeman 1968). What is a mineral? It is a naturally occurring solid with a specific chemical composition and a distinctive internal crystal structure, in contrast to a rock that has a variable mixture of minerals. 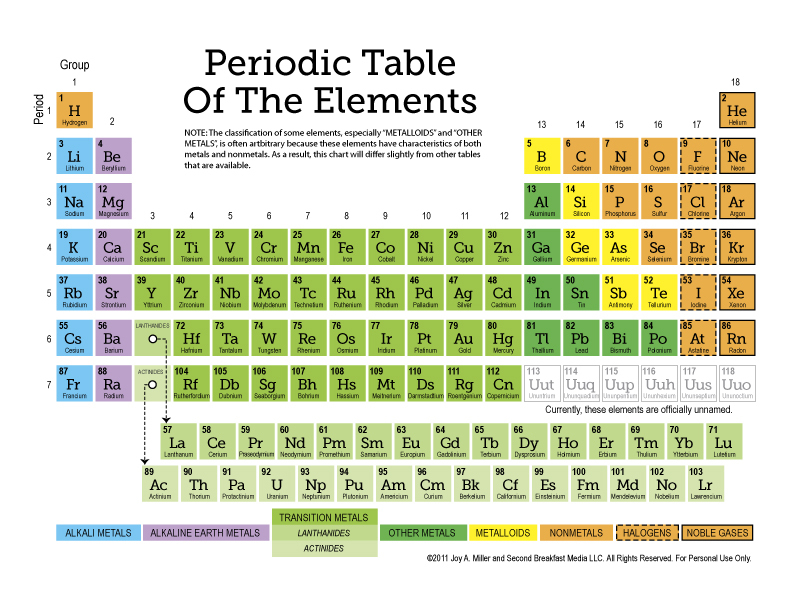 In the following discussion, chemical formulas will be given for some of the simpler minerals using the standard chemical abbreviations for the elements. A mineral’s chemical formula indicates which atoms are present in the mineral and in what proportions. For example, ice (H2O) contains hydrogen and oxygen in a two-to-one ratio. Why is mineralogy important? Aesthetically, it is important because of the beauty of gemstones and because of a general interest in how the laws of nature work. Practically, it is of interest because minerals are the source of many natural resources and the extraction of minerals such as gold, silver, and copper goes back thousands of years. Crystal systems. Mineral crystals can be categorized into several systems based on their symmetry properties with respect to a plane or axis; a plane of symmetry divides a crystal into two mirror images; whereas, an axis of symmetry is a line about which the crystal can be rotated by 180° (diad), 120° (triad), or 90° (tetrad) to give a replica of itself. The six crystal systems in order of decreasing symmetry are: isometric/cubic (4 triad axes), trigonal/hexagonal (1 triad axis), tetragonal (1 tetrad axis), orthorhombic (3 diad axes or 1 diad axis and two planes), monoclinic (1 diad axis and/or 1 plane), and triclinic (no axes or planes). Common minerals exemplifying each of these systems are: isometric garnet, trigonal tourmaline, hexagonal emerald, tetragonal zircon, orthorhombic topaz, monoclinic micas and clays, and triclinic turquoise. Groups. In the 1800s, minerals were classified into groups by the Christian geologist, James Dwight Dana; these groupings are still used today. The native elements include gold and copper. The sulfides include iron sulfide (pyrite) better known as fool’s gold. The sulfates include gypsum (CaSO4) commonly used for plaster board. Common examples of the oxides are hematite (Fe2O3), an ore mineral for iron, and magnetite (Fe3O4), which is easily identified because it acts as a magnet. Ice (H2O) is perhaps the most common example of an oxide mineral at the surface of the earth.The halides are salts with the most common being halite (NaCl). The largest group of minerals is the silicates, since silica is to the inorganic world what carbon is to the organic world. Silicon is the significant element because it forms four bonds just as carbon does. The resulting silica tetrahedra can form 3D networks, sheets, chains, rings, double tetrahedra, and independent tetrahedra. Minerals consisting of 3D silica networks are some of the most common and include quartz and the feldspars. Minerals made up of silica sheets include the micas, clay, and talc (as used in talcum powder). An example of a silica ring mineral is beryl. The different silica bond structures have increasing densities with increasing oxygen-silicon ratios as follows: 2 for networks, 2.5 for sheets, 2.75 for double chain amphiboles such as hornblende, 3 for single chain pyroxenes such as augite, 3 for rings, 3.5 for double tetrahedra, and 4 for independent tetrahedra. The densities are significant because the higher density forms crystallize under the high pressure conditions deep in the mantle of the earth; whereas the lower density forms crystallize in the lower pressure conditions in the crust. The ratios are important because the low ratio networks have a high viscosity in lavas which trap gases that can be explosive and result in volcanoes like Mt St Helens; the high ratio independent tetrahedra have a low viscosity in lavas which can flow much more easily, as from Hawaiian volcanoes. Non-crystalline substances. Some substances similar to minerals do not have definite compositions and crystal structures, but are often discussed in association with the minerals. Amorphous glasses and gels form when a melt is cooled too rapidly to form crystals. Pearl is formed by clams. Amber is formed from tree sap. Many guides are available for an amateur wanting to identify and collect different minerals in nature. Some simple mineral characteristics used for identification are color and streak, hardness, luster, cleavage and fracture, habit, density, twinning, and mineral association. At times color can be diagnostic, e.g., yellow sulfur, silver galena, purplish iridescent bornite, pistachio green epidote, and green or blue copper minerals such as malachite, azurite, and chrysocolla. In some cases color is due to impurities and is not diagnostic; for example, quartz can occur in many colors; however, when the streak is colored, it is generally not due to impurities. Hardness can be a useful diagnostic property with the use of Mohs scale of hardness which classifies minerals according to how easily they can be scratched -- talc (1), gypsum (2), calcite (3), fluorite (4), apatite (5), orthoclase feldspar (6), quartz (7), topaz (8), corundum (9), and diamond (10). For comparison, a fingernail is 2½ and a pocket knife is 5½. Those with a hardness of 1 feel greasy and those with a hardness of 6 and over will scratch glass. Luster can be distinctive for metallic pyrite, vitreous biotite, and resinous sphalerite; chatoyant tiger’s eye is an especially spectacular luster with luminous bands of light that appear to move as the specimen is rotated. Octahedral cleaveage is diagnostic for fluorite and conchoidal fracture (like a broken pop bottle) is typical for quartz. Habit can be diagnostic for columnar tourmaline, fibrous asbestos, prismatic actinolite, foliated mica, and dendritic pyrolusite (MnO2). A high density is noticeable for galena. Twinning is especially useful for identifying staurolite “fairy crosses” and in distinguishing between orthoclase and plagioclase feldspars. Other features useful for identifying some minerals are magnetic properties for magnetite, radioactivity for uraninite, fluorescence for scheelite, taste for halite salt, birefringence for calcite, and the hydrochloric acid test for calcite and other carbonates. Birefringence for calcite is displayed when a clear crystal is available, in which case two duplicate images can be seen when viewed through the crystal (see hyperlink for example). The acid test on carbonates results in the liquid fizzing like soda pop. The chemical reaction is CaCO3 + 2HCl à CaCl2 + H2CO3 with the carbonic acid breaking up into water and the carbon dioxide that causes the fizzing. For the identification of some minerals, especially small ones, their observation in thin sections under a petrographic microscope is required. Such observations add several identifying characteristics as the mineral is rotated between two polarizing filters. Some minerals such as garnet remain dark during rotation; whereas, others show distinctive interference colors and become dark (extinguish) at 90° intervals upon rotation. Refractive index (or relief) is high for zircons and apatite in comparison with quartz and feldspar. The extinction angle (or angle at which the mineral becomes black), which is the angle between crystallographic direction and extinction, can be diagnostic between amphiboles and pyroxenes. Color (pleochroism) can change during rotation of the stage with respect to one polarizing filter. The most common minerals in granitic rocks are quartz, potassium feldspar, plagioclase, biotite, and hornblende. These can usually be distinguished on a fresh surface in a hand sample, especially with a hand lens. Quartz is translucent white with conchoidal fracture (like a broken pop bottle). Potassium feldspar is often pink; whereas, plagioclase is white. Biotite mica is vitreous black and is sheeted. Hornblende is prismatic black. Polymorphism and Varieties. 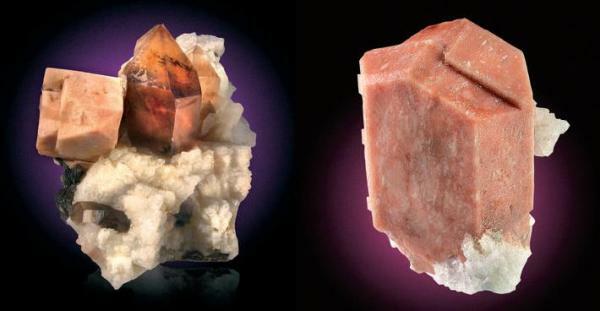 Some minerals have a single composition with a variety of forms. At low temperature, carbon forms graphite as used in pencil “lead” and in lubricants, but at high temperatures and pressures 100 km deep in the earth carbon forms diamonds instead. White prismatic andalusite, bladed blue kyanite, and white fibrous sillimanite are metamorphic minerals that occur at increasing temperatures and pressures, but with the same composition (Al2SiO5). Corundum has a unique chemical formula (Al2O3), is next in hardness to diamond, and is used as an abrasive; sapphire and ruby are two gemstones with the same composition, but with a significantly different appearance. Perhaps the widest variety of forms occurs for silicon dioxide (SiO2) or quartz, with some of the more common varieties mentioned here. 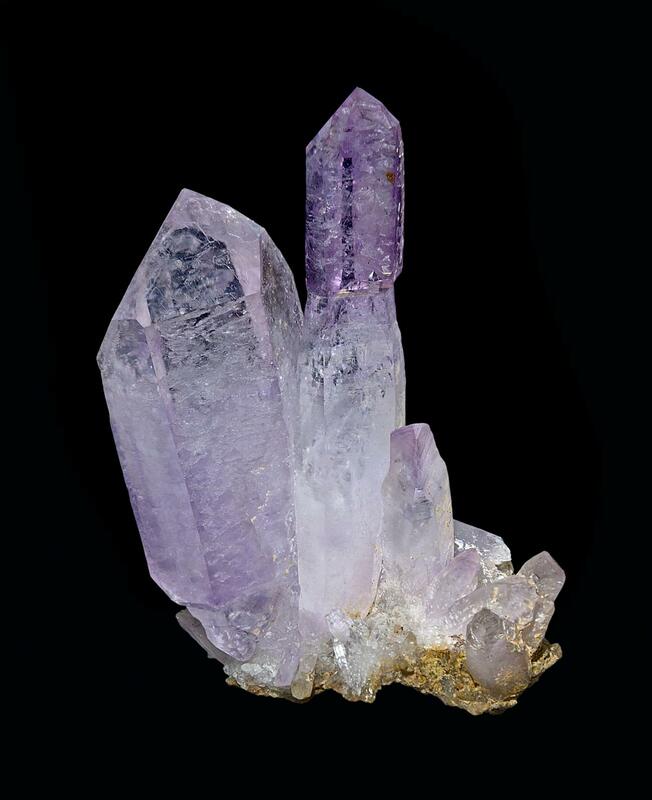 Amethyst is purple quartz that contains some manganese impurities. Citrine is yellow quartz. Chalcedony forms at low to moderate temperatures. Agate is a banded form of chalcedony formed by intermittent deposition in cavities, with a geode being a typical example. Onyx is agate banded in dark and light planes. Jasper is an opaque red chalcedony. Chert and flint, once used as cutting tools, are light to dark gray massive opaque chalcedony. Silicified wood is wood replaced by silica. Yellow brown tiger’s eye forms when silica replaces asbestos, but the fibrous structure is retained. Common glass is just amorphous quartz. Opal is an amorphous form of quartz containing 3-10% water and often displaying a rich iridescent play of colors. Twinning. Sometimes when minerals crystallize, two crystals grow together as twins. 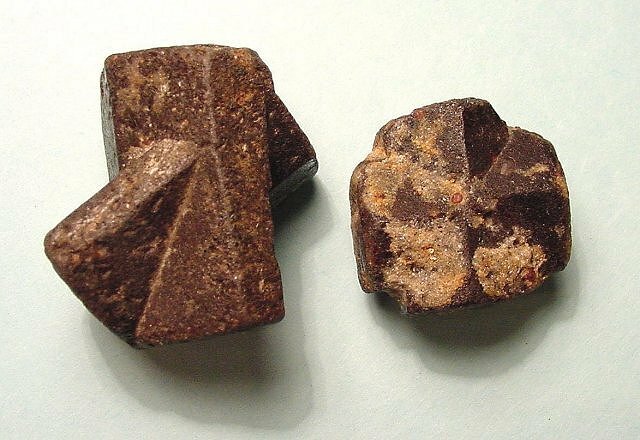 A classic example is staurolite, where the two crystals cross at 60° or 90° forming fairy crosses. Orthoclase feldspar twins by the Carlsbad law to form two parallel crystals easily distinguished in granite in bright sunlight. Plagioclase feldspar twins by the albite law forming striations in microscope thin sections. 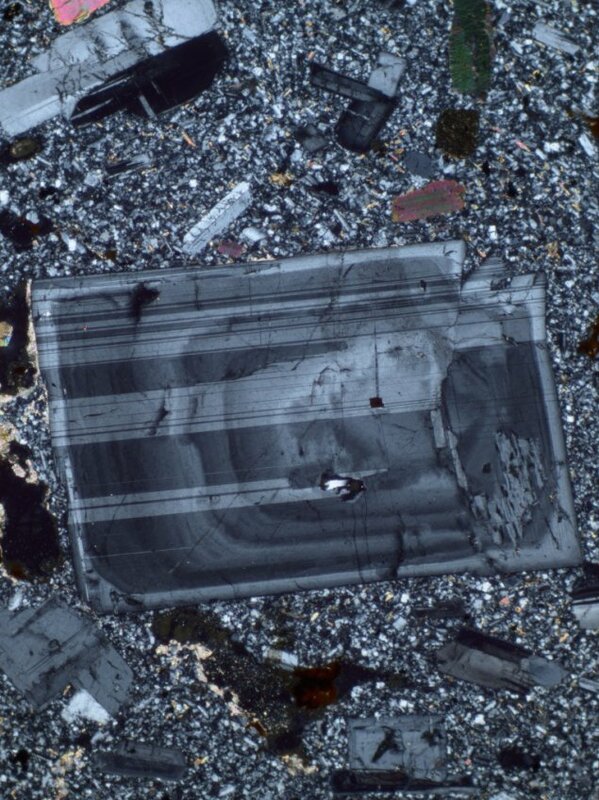 In microcline feldspar, the albite and pericline laws combine to form two sets of perpendicular twins displaying a diagnostic grid structure in microscope thin sections. Substitution. Often minerals do not have an exact composition because different atoms can substitute for each other in the crystal lattice. This occurs when two atoms have the same ionic charge and radius. In solid solutions, the components may vary in a predictable way; for example, iron and magnesium may substitute for each other in olivine, (Fe,Mg)2SiO4. The feldspars provide the typical example of substitution. Since they are the most abundant of all minerals, here is a brief description of them in granitic rocks. Calcium feldspar or anorthite (CaAl AlSi2O8) grades into sodium feldspar or albite (NaSi AlSi2O8) which can grade into potassium feldspar or orthoclase/microcline (KSi AlSi2O8). The calcium-sodium feldspar solid solution series, where NaSi substitutes for CaAl, is generally known as plagioclase with the different percentages of sodium being given different names: 0-10% as anorthite, 10-30% as bytownite, 30-50% as labradorite, 50-70% andesine, 70-90% as oligoclase, and 90-100% as albite. The sodium-potassium feldspar solid solution series is more complicated and only occurs at high temperatures; at temperatures below about 600°C the two forms are unstable during slow cooling and separate to form parallel lamellae. An increasing amount of sodium and potassium and a decreasing amount of calcium generally indicates a more evolved magmatic system that has gone through more stages of melting and crystallization. In garnet minerals (Fe,Mg,Mn,Ca)3Al2(SiO4)3, where iron, magnesium, manganese, and calcium atoms substitute for each other, aluminum can be replaced by the rare earth elements. Aluminum is preferentially replaced by the large ionic radius lanthanum at low pressures and the small ionic radius ytterbium at high pressures. The difference in replacement between lanthanum and ytterbium can be as much as a factor of one thousand and can be used to suggest the pressure at the source depth of granitic magma. Granitic rocks that have a high lanthanum/ytterbium ratio come from deep-source magmas that retained more lanthanum, but left the ytterbium behind in garnet. Granitic rocks that have a low lanthanum/ytterbium ratio come from shallow-source magmas that retained more ytterbium. Similarly, the amount of aluminum versus silicon in hornblende can be used to estimate the depth of crystallization of the mineral. The potassium-40 isotope of the element potassium is radioactive and can be used in potassium-argon age dating. Several common minerals containing potassium that can be used for age dating are biotite mica, hornblende, and potassium feldspar. Rubidium-87 is another radioactive isotope; since rubidium has very similar chemical properties to potassium, it substitutes for potassium in the above minerals and can be used for rubidium-strontium age dating. Uranium and thorium substitute for zirconium in the zircon mineral (ZrSiO4) and for yttrium in xenotime and monazite (YPO4), so these minerals can be used for uranium/thorium-lead age dating. Minerals form in several different types of environments: igneous from hot liquid magma, sedimentary from water solutions, and metamorphic in hot plastic rock. Igneous Environment. Many minerals crystallize from liquid magma to form igneous rocks. The most common are the silicates -- olivine, pyroxenes, amphiboles, micas, the feldspars, and quartz. These are in order from the first to form peridotite rocks at the highest temperatures and pressures in the mantle, to the intermediate gabbros in the lower crust, to the last-to-form granitic rocks at lower temperatures and pressures in the upper crust. Slow growth of crystals due to slow cooling of magma in underground magma chambers yields larger crystals than those formed above ground due to rapid cooling of volcanic rock. However, volcanic rock can have two crystal sizes due to two stages of cooling -- slow cooling underground yielding large crystals and later rapid cooling of the remaining lava after eruption to give a matrix with unobservable crystals. The final liquid magma to crystallize yields pegmatites, often as dikes in rock fractures. These pegmatites often include exotic minerals like tourmaline, beryl, and lepidolite (lithium) mica because they contain all the left over elements that do not fit in the standard minerals. High water content such as in pegmatites also enables larger crystal growth. The final hot liquids can ascend from a magma chamber into the surrounding country rock through veins, yielding hydrothermal ore deposits with unique minerals such as those in copper deposits. Sedimentary Environment. Precipitates and evaporite minerals can form in a sedimentary environment. Precipitates would include secondary quartz varieties such as agate and calcite precipitating from fluids moving through the sediment. Evaporite minerals such as halite and gypsum form from saline water bodies as the water evaporates and leaves the salts behind. Metamorphic Environment. Many unique minerals form at higher pressures and temperatures than experienced in a sedimentary environment, but not as high as an igneous environment. The types of metamorphic minerals that form are determined by pressure, temperature, and chemistry, so that mineral assemblages can indicate the pressure/temperature conditions of formation. Typical metamorphic minerals include: sillimanite, staurolite, talc, serpentine, chlorite, garnet, actinolite, and epidote. The igneous minerals, albite, potassium feldspar, and biotite, also form under metamorphic conditions. A number of minerals are mentioned in the Bible, although it is not always clear from the ancient Hebrew and Greek words exactly which of today’s known minerals are being referred to. Sulfur is referred to as brimstone (e.g., Gen 19:24; Isa 34:9; Rev 9:17). Other Bible examples include the minerals in the high priest’s breastplate (Ex 28:15-20; sardius, topaz, carbuncle, emerald, sapphire, diamond, jacinth, agate, amethyst, beryl, onyx, and jasper) and the foundations of the New Jerusalem (Rev 21:19-21; jasper, sapphire, agate, emerald, onyx, carnelian, chrysolite, beryl, topaz, chrysoprase, jacinth, and amethyst). According to tradition, the tablets of stone for the Ten Commandments are made from sapphire or lapis lazuli (see Ex 24:10,12; Eze 1:26; 10:1; Rev 4:3). King Solomon’s copper mines with chalcocite, chrysocolla, and malachite are associated with granitic and sedimentary rocks at Elat and Timna in southern Israel. This area, where dozens of old furnaces to smelt copper have been found, may be the oldest location for copper production in the world. Originally the mines were thought to have been worked by the Egyptian empire in the 14th to 12th century BC using metal chisels and hoes to excavate tubular shafts to as deep as 30m. More recent radiocarbon dating suggests that the age is the 11th to 9th century BC during the time of David and Solomon. The beauty, variety, and order in the mineral kingdom display some facets of God’s character and his laws for governing the world. The Bible speaks of the difficulties of finding gold, silver, iron, copper, onyx, sapphire, and topaz in dark mines underground, but notes that wisdom can be even harder to find, for it is in the fear of the Lord (Job 28).